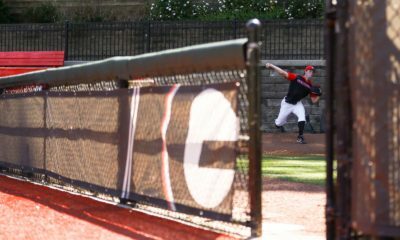 ATHENS, GA – University of Georgia freshman right-hander Robert Tyler has earned an invitation to compete for a roster spot on the 2014 USA Baseball Collegiate National Team. A 6-4, 210-pound native of Cordele, Ga., Tyler is slated to participate in the team’s training camp starting June 19 in Cary, N.C., while the final 24-man roster will be announced on June 29. 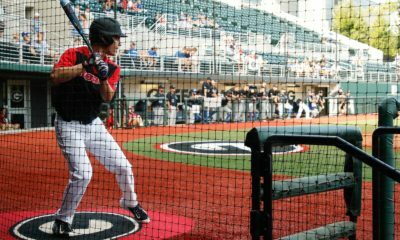 Tyler becomes the ninth Bulldog in school history to earn an invitation from the USA Baseball Collegiate National Team, joining shortstop Kyle Farmer (2012), outfielder Zach Cone (2010), catcher Clint Sammons (2002), shortstop Jeff Keppinger (2000), pitcher Zack Frachiseur (1997), pitcher Brian Powell (1994), pitcher Dave Fleming (1989) and pitcher Cris Carpenter (1987). Most recently, Farmer served as the starting shortstop on the 2012 squad that went 12-5, won a bronze medal in the Netherlands and was part of the first U.S. Collegiate National team to travel to Cuba in 16 years. 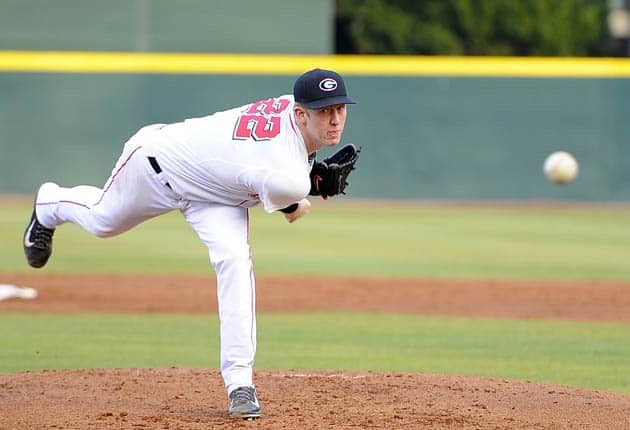 Tyler made 12 starts and led the Bulldogs with a 6-4 record and 2.68 Earned Run Average, which was the lowest ERA by a Georgia starter in 10 seasons. He tossed 80.2 innings with 22 walks and 64 strikeouts. He earned SEC Pitcher of the Week honors after firing a complete game three-hit shutout over #11 Ole Miss in Oxford on May 10. Twice this year, he was named SEC Freshman of the Week. 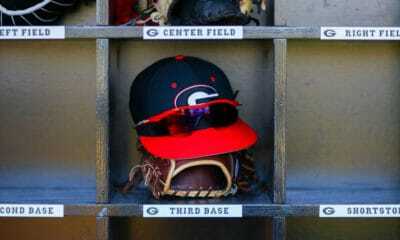 In his final start this season, he beat Kentucky to help Georgia clinch a spot in the SEC Tournament. 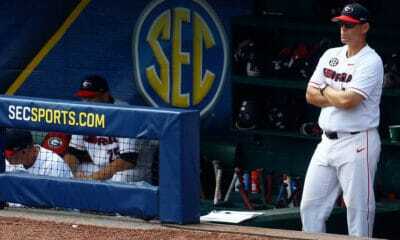 Arkansas head coach Dave Van Horn will direct the 2014 Collegiate National Team. The team’s assistant coaches include Rob Childress (head coach at Texas A&M), Ray Birmingham (head coach at New Mexico) and Steve Rodriguez (head coach at Pepperdine). Incidentally, Stricklin served as an assistant coach for the USA National Team in 2011. The 2014 Collegiate National Team will play games against Chinese Taipei and Japan on U.S. soil while also making trips to The Netherlands for the Honkbal – Haarlem Baseball Week and to Havana, Cuba for a Friendship Series against Cuba. The Collegiate National Baseball team begins play on June 21 with the Red, White and Blue Tour in various cities across the United States.